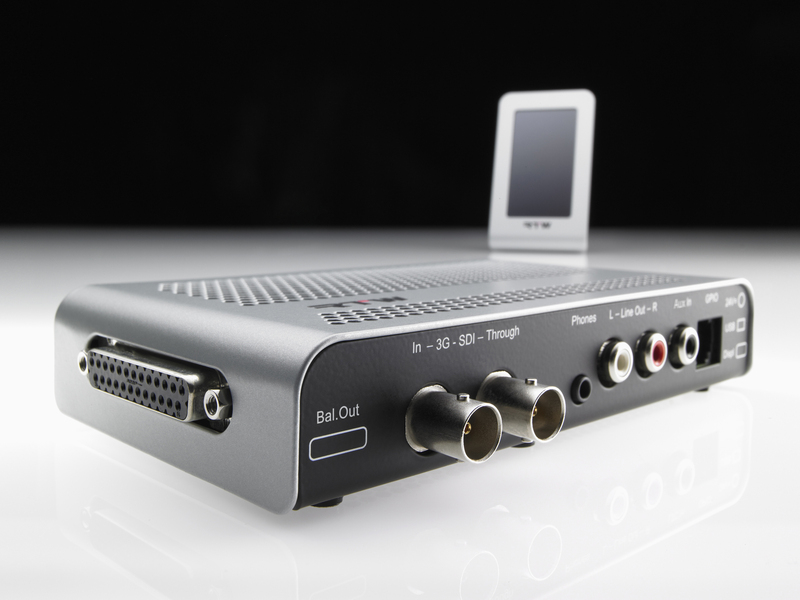 AMSTERDAM, SEPTEMBER 8, 2012 — RTW, a leading vendor of visual audio meters for professional broadcast, production, post production and quality control, will introduce a new version of its successful TouchMonitor TM3 unit at IBC 2012 (Stand 8.E76). The new TouchMonitor TM3-3G seamlessly allows the TM3’s current hardware and software design to visualize, convert and replay 3G SDI signals in TV and video production and post production applications, offering a feature set unrivalled in its class. The TouchMonitor TM3-3G is a compact yet versatile solution for metering, de-embedding and monitoring 3G SDI audio. It features a 4.3-inch touchscreen for horizontal as well as vertical orientation, which can display any of the eight audio channels contained in a 3G SDI stream. For that purpose, it includes a large number of graphical and numerical instruments showing single-channel and summing loudness bargraphs, PPM, true peak, SPL, loudness range (LRA), dialnorm and correlation. The TM3 offers comprehensive loudness metering in compliance with all globally relevant standards (EBU R128, ITU BS.1770-2/1771, ATSC A/85 and ARIB). It also features the Magic LRA mode, specifically designed by RTW, for intuitive visualization of the loudness range and integrated-loudness parameters. If equipped with the corresponding software license option, the integrated de-embedder also outputs up to 16 audio channels from the 3G SDI signal on eight AES3 two-channel ports. The output signals are independent from the visualized audio. In addition, the TM3-3G can be upgraded with a built-in monitoring controller license. This uses an on-screen fader for output-volume adjustment, a stereo output and phones out. The optional timecode license expands the feature set of the TM3-3G to allow external or SDI timecode signals to be decoded, displayed and used for additional functions.